The Grand Prix (GP) 4000 tyres have become one of the most popular and well-trusted tyres available in today's market. Their unique blend of speed, puncture resistance and grip has captured cyclists from Tour de France champions to the casual Saturday morning rider. The GP 5000's have taken this design and only improved it further. 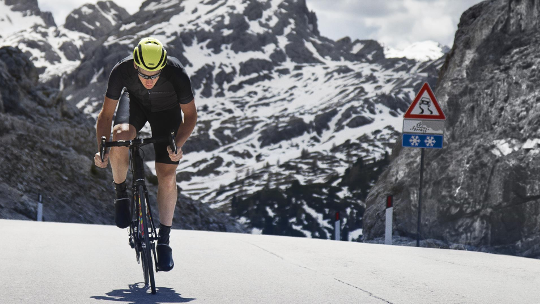 Now featuring 12% better rolling-resistance that comes 10g lighter with a 20% improvement in puncture resistance thanks to Continental's Vectran™ spider silk-like thread. 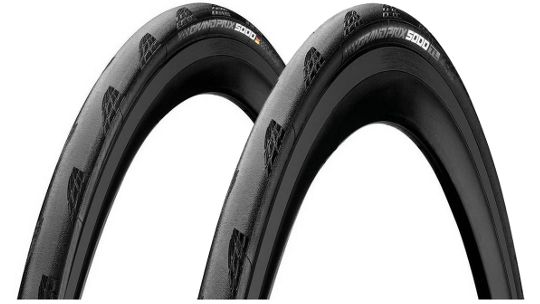 Continental's signature Black Chilli compound is what helps to make this tyre, boosting the textured grip that you can rely on at speed into your next tight turn. Race, train or simply enjoy this fantastic and exciting new tyre. It’s all about how you mix it Continental's unique tread compound, which is produced only in Germany. With the legendary BlackChili Compound Continental have answered the eternal question of the best balance of grip and rolling resistance for cycling. Regular test wins confirm the measureable and noticeable advantages for the cyclist, established in the laboratory and on the road. The latest polymers, as well as specially developed carbon black particles and filler materials, guarantee unique performance. Laser Grip, to make you one with the road. The lasered micro profile structure expands over the tire’s shoulder and provides outstanding cornering. The benchmark in puncture protection Vectran™ is a synthetically manufactured high-tech fibre from a natural model. Like spider silk, Vectran™ is a liquid-crystalline polymer (LCP). Vectran™ is spun from the melted liquid polymer Vectra and processed further to a multi-strand thread. 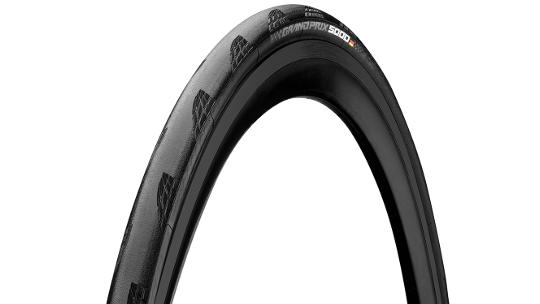 Spider silk-like Vectran™ has an enormous tear resistance at a very low weight: Exactly the right properties to process into a premium Continental bicycle tyre as a puncture protection insert. A Vectran™ breaker is lighter, more flexible and protects more effectively against cuts than the comparable nylon breaker.